There are a few songs and phrases that truly move me. One of those songs is Amazing Love by Chris Tomlin. It is such a beautiful song with lyrics that speak to me. I had this song in my head the other day, while I was pulling out Spring items to decorate my home. 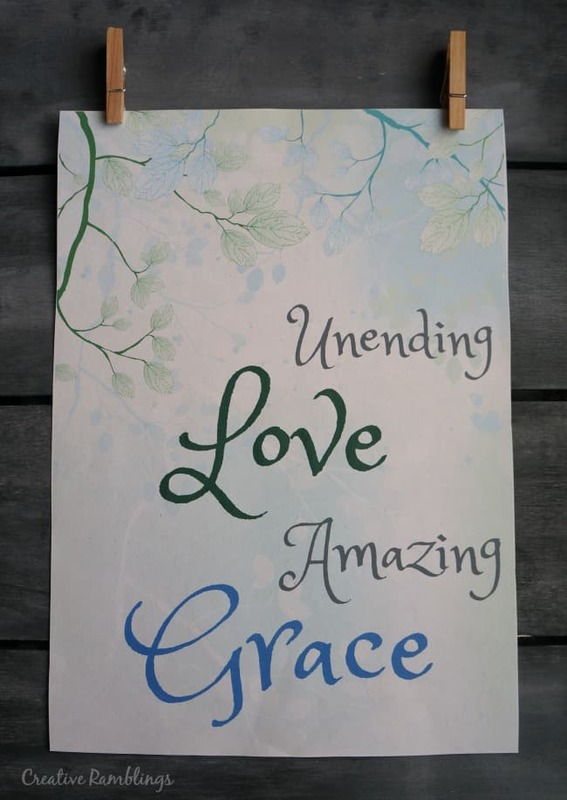 I thought a few lyrics would make a beautiful printable decoration for Spring and Easter. 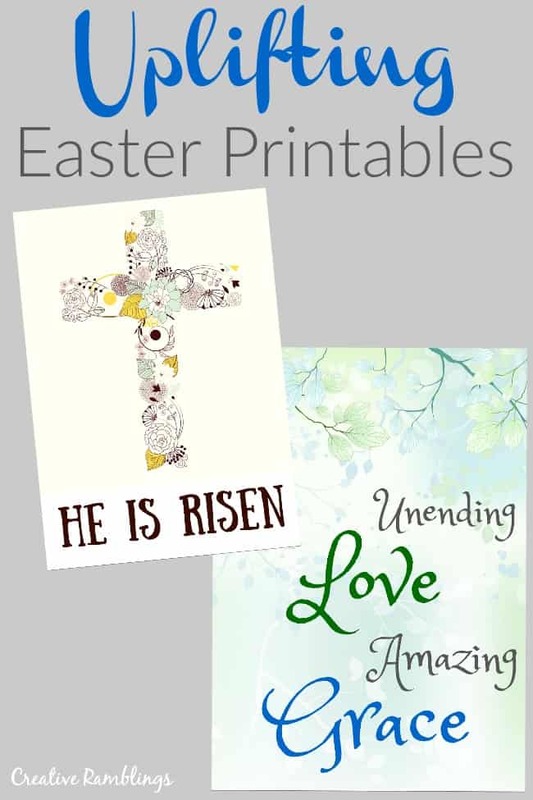 And because I just can’t keep this to myself, I’m sharing a couple uplifting Easter printables with you today to brighten your home this SPring. 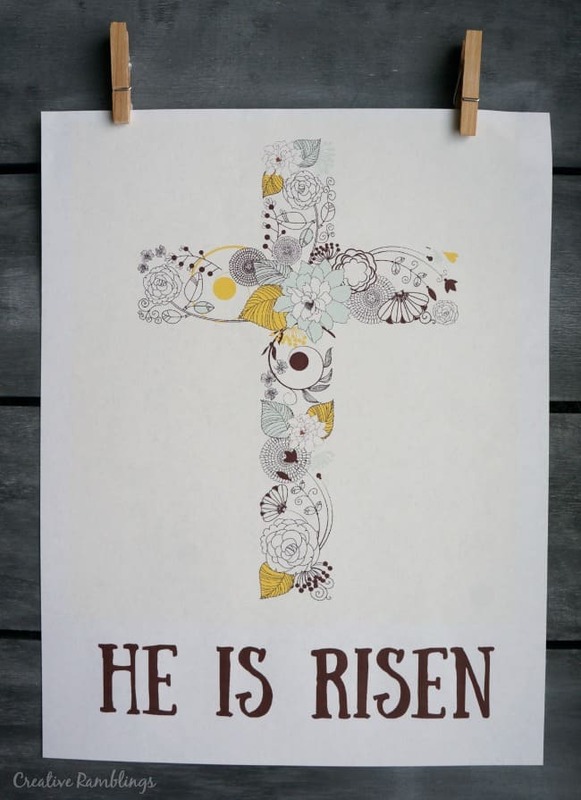 In addition to this uplifting Easter printable with Amazing Love lyrics on it, I also created a cross printable that reads He Is Risen. 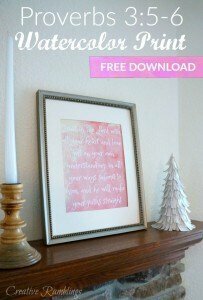 Both of these printables are available for you to download, print and use personally in your home. Please do no recarete or use these for commercial use. I am displaying mine clipped to a chalkboard with two mini clothespins. You could also frame these printables for display. If you like printables you can find more here. You can also download an exclusive uplifting Proverbs printable by subscribing to Creative RAmblings weekly newsletter.